If you’re on my Northern California email list, you might know that last Sunday I held a daylong retreat in my studio called GATHER AT THE GOLDMINE. We spent the day digging deep into our inner riches to learn more about WHAT we wanted and HOW to get it. Let me just say this retreat was so awesome it was very much a (re) treat for me as well. Meaning, it changed me. I woke up the next morning feeling SUUUUUPER inspired and crystal clear annnnnd….. Writing you today to announce that I’ll be doing a virtual version of this retreat!!! You know, originally I considered doing a retreat in my studio about self care during stressful times. I felt very strong about discovering and nurturing possibilities rather than overcoming negative situations. Because who wouldn’t choose to thrive rather than just survive? And because we can only change what we can actually envision. I was so inspired to help people envision their deepest, most heartfelt wishes that I scheduled the retreat for less than 2 weeks away. And by deepest, heartfelt wishes, I mean the wishes we truly long for. Not those drab To-Do List Goals. But our wildest dreams, the ones that make our soul sing. And possibly the wishes that others have told us we can never realistically reach. Or the wishes we’ve talked ourselves out of again and again, out of self-limiting beliefs and self-sabotage. Yep. The meditative imagination is powerful. Limitless, in fact. So, last Sunday, we worked on uncovering the buried truth about what we really want. And right away we began strategizing and embodying those truths as unfolding dreams and working intentions. We begin with very specific Self- Inquiry practices designed to unearth a deeper sense of how we really feel and what we want, but are also specially designed to prime us for the Visioning exercises that come next. Visioning practices give us the power to vividly imagine what success truly looks and feels like to us. And what strategic plan will help us get the process going. We’ll then use yin yoga and breath to help ground all these ideas down into our bodies, where we are incarnate and manifest. Other practices such as mudra, mantra and Yoga Nidra provide other ways to observe and realize these wishes. You can do this work every day — or once a week — or a little bit whenever you get to it. And skip whatever you want to skip. Do over and over whatever turns you on! And, yes, you’ll have the option to purchase lifetime access. 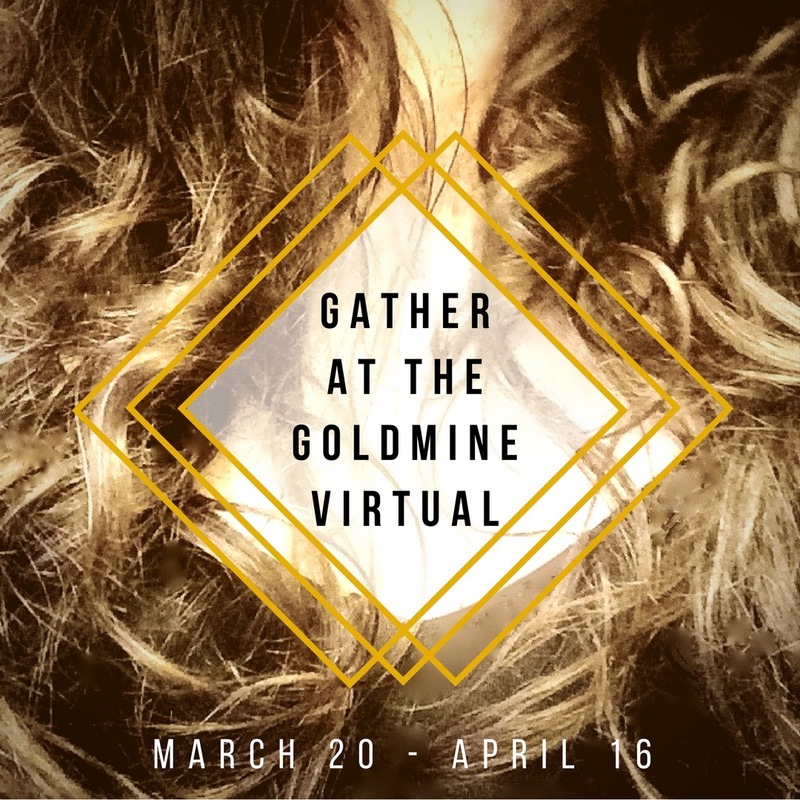 Get ready for GATHER AT THE GOLDMINE:: A Virtual Journey in SELF – DISCOVERY AND FULFILLMENT. A chance to work on your wishes. With others. Sharing as much as you like in the Facebook group, should you decide to join. Cheer others on and be inspired by the wishes of others. Clearing your inner clutter. Planting, watering and sunning seeds.